It's now been a little over 2 months since I said goodbye to the school and students that I got to know so well over the first semester. Even though I've completed my internship and am back at the University of Regina finishing up my last semester, I can't seem to stop thinking about lessons that I would have taught in my classroom if I were still interning right now. After getting a taste of teaching for those four months, I can't wait to get back out there and have my own class once again and I think my sub-conscience feels the same way. It seems like no matter what I do or experience now a days, all I can think about is how I could incorporate "this or that" into a lesson. It could be anything from a song I heard on the radio and thought "We could do an ELA lesson on this!" or waking up in the middle of the night and my first thought is how I could incorporate whatever I was dreaming about into a lesson. It's crazy. Now that I've gotten that taste for teaching, it's consumed my entire way of thinking and I can't go back to the way I used to be! I know your wondering, when am I going to get the Mystery Skype part of this blog post seeing as it's the title of my post. Well don't get too upset, I'm going to get there right away! So today I was scouring the internet looking for another blog post or article to inspire me for my next blog post, and after about 5 minutes I found an awesome blog with a really interesting topic: Mystery Skypes. After reading the blog post "Mystery Skype - Who Could it Be?" by Mr. Avery, I became incredibly jealous that I didn't do something like this during my four month internship. If you're not sure what a mystery Skype is, it's essentially a skype session with a random classroom from somewhere around the world. Once the Mystery Skype session begins the classes take turn asking Yes or No questions while cooperating as a team with the final goal of figuring out the location of the other class before they guessed your classes location. I think this would be such a fun activity to do with one of my future classrooms. I can't wait to get my degree and get out there and start teaching so I can try something like this! What are you're guys thoughts on the idea of Mystery Skypes? 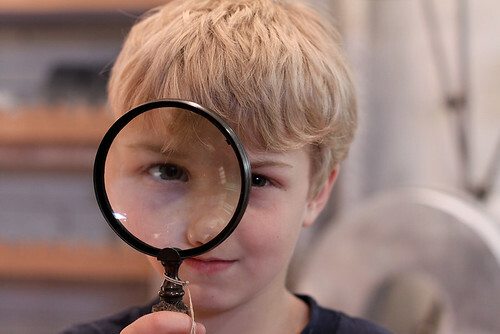 Have you ever heard of Mystery Skypes before or actually tried one out with a classroom? I know how you feel - there are so many things I wish I had tried/taught and I can't wait to get back into a classroom! Mystery Skype sounds really cool, I hope to try it one day. Didn`t Cheyne do this during his internship? I agree Cynthia. The good news is that we'll be out there and teaching our own classrooms in no time! Oh and I'm not too sure, I'll have to ask him about his experience with it. Thanks for the comment as well as your blog post Nick. I just checked out your blog post and it sounds like it went really well when you did it with your class. I can't wait to try it out with my own class!